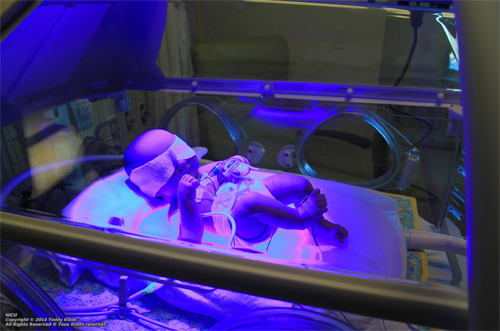 [by Dean Smith] Even admitting their recommendations could potentially impact the abortion debate, researchers are suggesting the medical community should re-look at the viability age of premature babies. Up to this point, it is generally accepted babies born as young as 24 weeks can survive outside the womb. However, a recent research project, reported in the New York Times, is now suggesting the age of viability should be reduced to 22 weeks because of growing evidence babies that young can survive, particularly with modern neonatal improvements. A study of thousands of premature babies discovered that a small minority of 22 week-old babies did survive. Though the majority died, it often happened because of lack of medical treatment. The study, reported in the New England Journal of Medicine, found that medical centers where premature babies are treated tend to spend more resources ensuring those closer to 23 weeks of age survived than at the 22-week mark — which can translate into a difference of just a couple of days. The study tracked 5,000 babies born between 22 to 27 weeks of age, and found only 78 (22%) of the 22-week old babies received treatment and of those 18 survived of which six had serious health issues. In comparison, over 70% of the 23-week old babies were treated of which a third lived. Because just a few days will significantly increase a baby’s odds of survival, doctors will often use corticosteroids that not only delay birth but can help a baby’s lungs and brains. Throw into the mix that determining a baby’s age is often at best a guess, the process does not favor children born closer to the 22 week mark. The researchers followed 24 hospitals, 4 that chose not to intervene for babies at 22 weeks, five that did and the rest that picked and chose. In the end, hospitals only treated 22% of the 357 babies born at the 22-week mark. In the US, there are about 18,000 premature babies born each year, with 5,000 falling between 22 weeks and 23 weeks of age. And of course, this discussion does affect the abortion debate, because while proponents of abortion prefer to dehumanize children in the womb by calling them fetuses, the fact they are being born at 22 weeks and surviving challenges that perception. But according to the article, reducing the viability age to 22 weeks will have a much more pragmatic affect as the Supreme Court has ruled states must allow abortions for babies who can’t survive outside the womb. The lowering of the viability age could potentially affect when abortions are legal. The article also shared the heartwarming story of Clayton and Danielle Pickering. Clayton is a Baptist Minister in Newton, Iowa. His wife delivered her baby at the 22 week mark as hospital staff were unable to delay delivery using corticosteroids.